North Korean leader’s close aide reaches Beijing, likely to visit U.S.
North Korean leader's close aide reaches Beijing, likely to visit U.S.
Kim Yong Chol, a close aide to North Korean leader Kim Jong Un, arrived in Beijing by air from Pyongyang on Thursday, possibly en route to the United States to lay the groundwork for an envisioned second summit between the two countries. 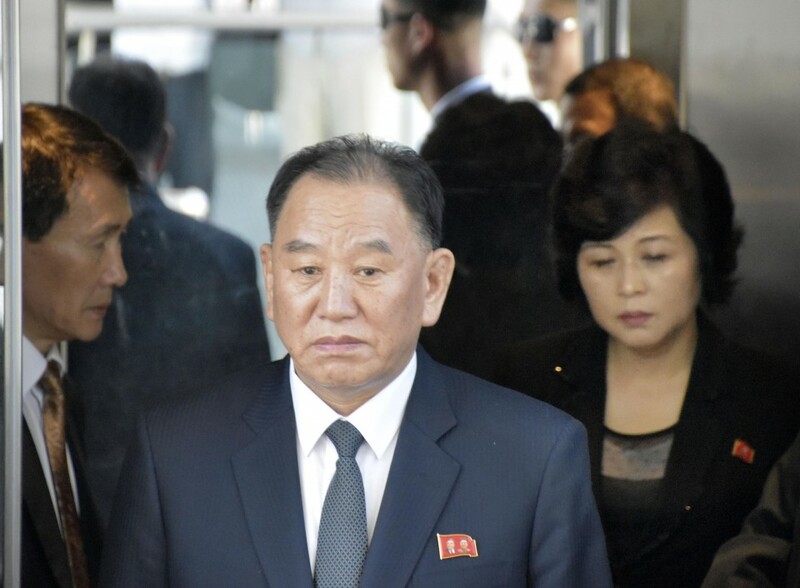 Kim Yong Chol is expected to head to Washington later in the day to meet with U.S. Secretary of State Mike Pompeo, as denuclearization negotiations remain at an impasse. The vice chairman of the Central Committee of the Workers’ Party of Korea is likely to hold talks with Pompeo on Friday and, if progress is made in those talks, meet with President Donald Trump, diplomatic sources said. Kim Yong Chol and Pompeo may finalize the date and venue of the next U.S.-North Korea summit, the sources added. At their historic meeting in Singapore in June 2018, Trump and Kim Jong Un agreed that Washington would provide security guarantees to Pyongyang in return for “complete denuclearization” of the Korean Peninsula. Negotiations between the United States and North Korea, however, have shown little sign of moving forward against a backdrop of the Trump administration’s skepticism about Pyongyang’s intention to give up nuclear weapons. At his meeting with Chinese President Xi Jinping earlier this month in Beijing, Kim Jong Un pledged to stick to his goal of denuclearization and achieve “results” that would be welcomed by the international community at his possible next summit with Trump. During the summit, Xi also expressed support for North Korea’s efforts to hold more summit meetings with the United States. In the wake of the latest agreement between Xi and Kim Jong Un, speculation has been sharply growing that a second U.S.-North Korea summit will take place in the not-so-distant future. North Korea and the United States have no diplomatic relations as they remain technically at war.